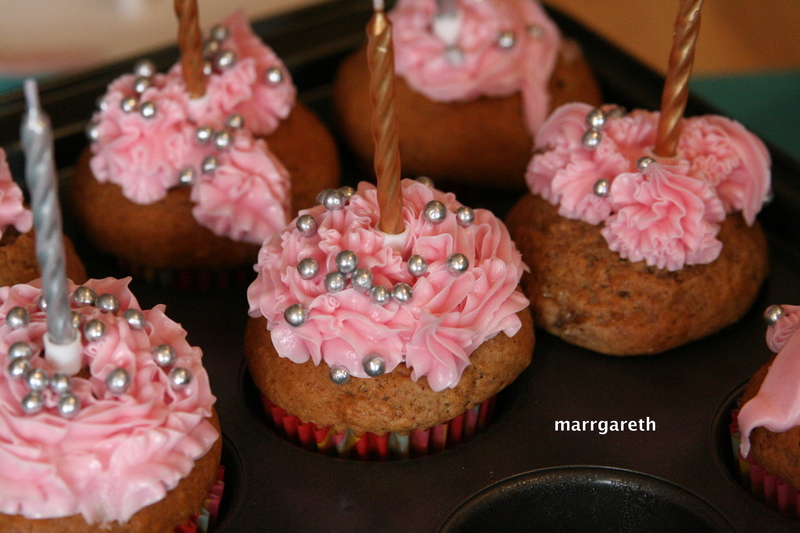 Let’s have some fun and decorate cupcakes! I am sure your kids will be very happy. 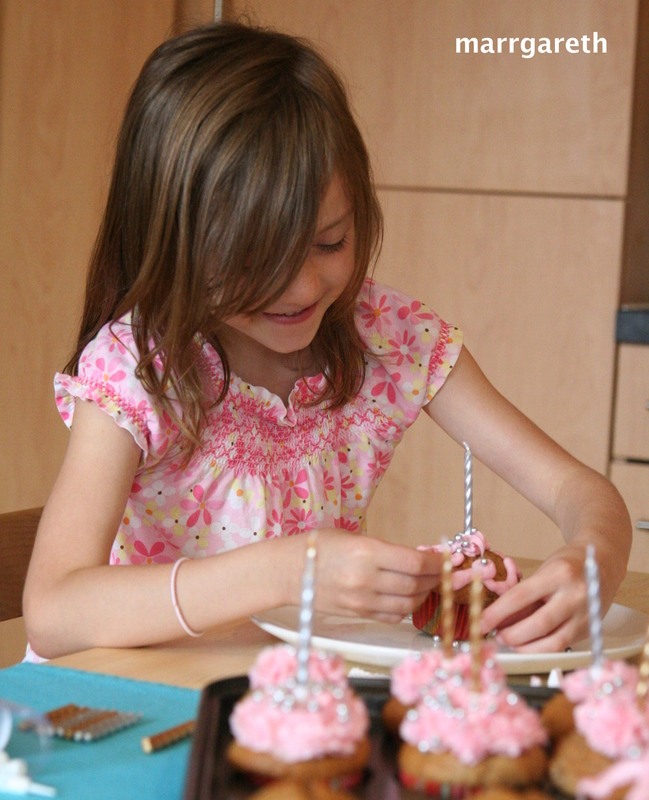 If you want to spend nice time with your child, try to decorate some cupcakes. After breakfast I baked 12 allergy free cupcakes. The recipe is here. 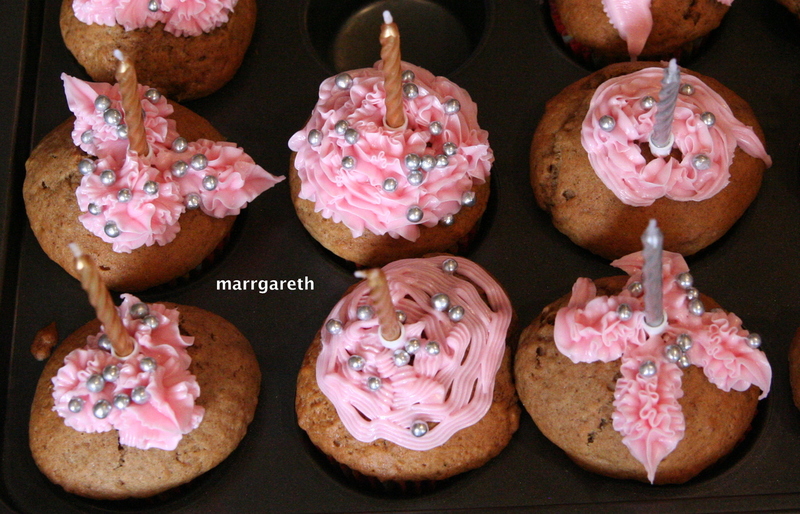 12 candles (silver and gold). You can always go to the store with your children letting them choose the colour of sugar frosting and other decorative items. 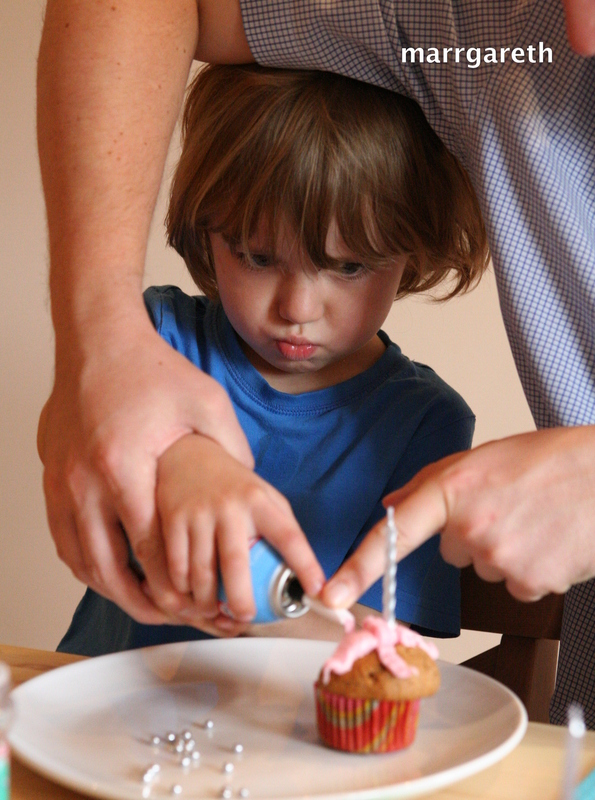 Squeezing the frosting turned out to be too difficult for our three year old son … daddy came with help. Although my son did not have any problem with candles and silver balls. 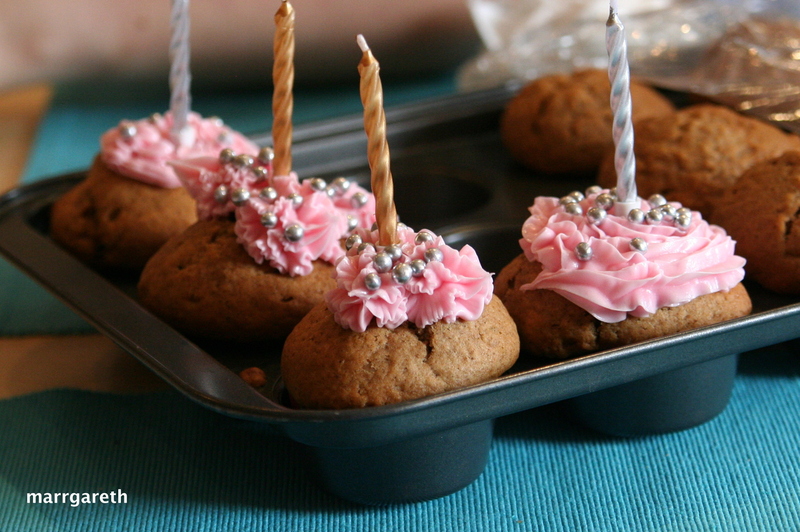 My five year daughter did not have problem with frosting or candles. Below you can see the effects of their work.